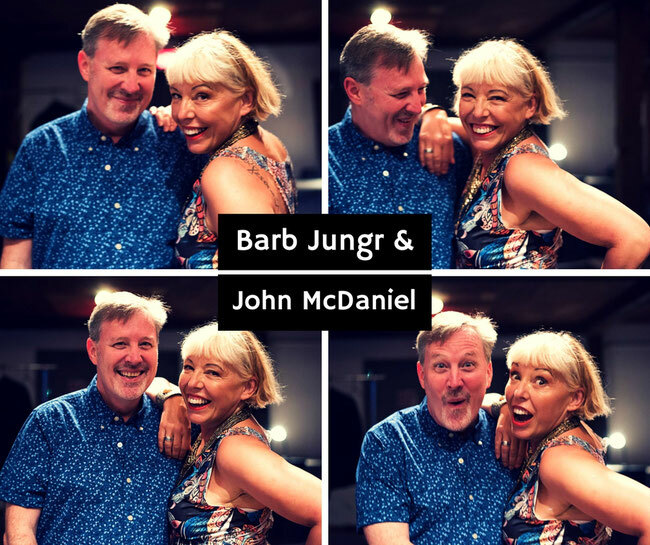 British jazz and international cabaret legend, Barb Jungr re-unites with Broadway’s Grammy & Emmy winning musical supremo, John McDaniel to bring their brand new show to both sides of the Atlantic and beyond. 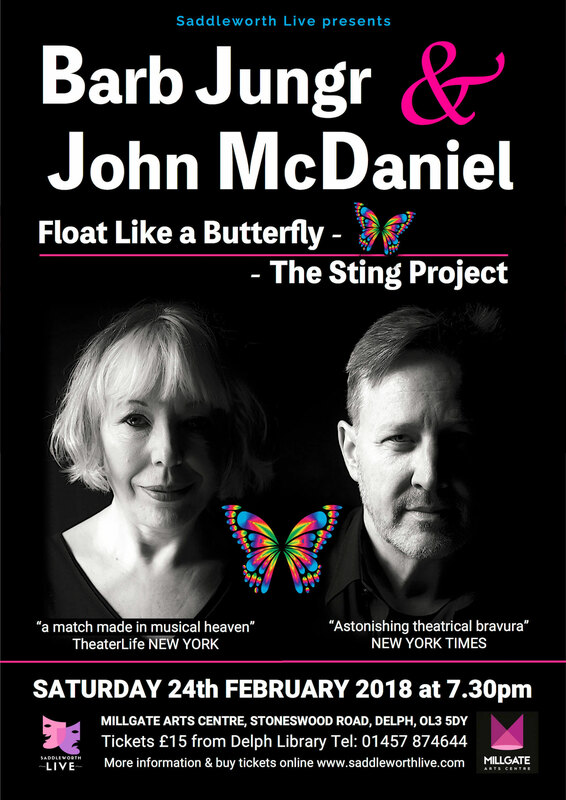 The duo have insisted that their UK tour includes a return to Saddleworth and they are super excited to be gracing the Millgate stage for the first time. The concert will feature a collection of songs related to Sting and The Police. Jungr & McDaniel are 'a match made in musical heaven' (Theater Life). Don't miss this chance to hear them reveal the beauty and breadth of Sting’s extraordinary repertoire. Through a set list that includes “Every Little Thing (She Does Is Magic),” “Until,” “Every Breath You Take,” “Englishman In New York,” “Fragile” and more, Barb and John explore Sting’s work, finding quiet beauty, intensity, politics and passion. In musical circles, Barb Jungr needs no introduction. An artist that occupies a magical zone where jazz, cabaret and the chanson mingle and ignite. Over the course of her career, Jungr has developed that most rare of vocalist’s gifts: a musical vocabulary all of her own. With years of experience as a performer and recording artist under her belt and a string of awards across an incredible spectrum of mediums and genres, it is a striking testament to her vitality as an artist that Jungr’s reputation just keeps on growing. John McDaniel is a Grammy and two-time Emmy Award winning, music director, arranger, orchestrator, pianist, theatrical and record producer and is the artistic director of the Tony Award winning O’Neill Theater Center’s Cabaret and Performance Conference in the USA.